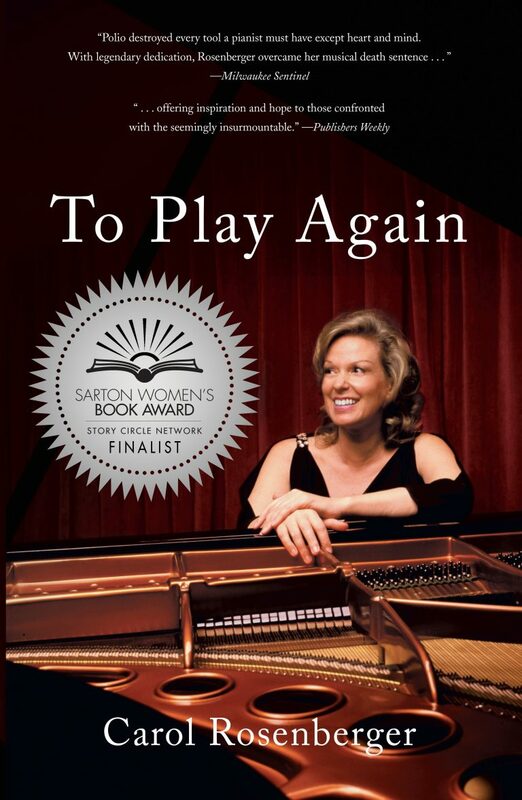 "To Play Again" a Sarton Women's Book Award Finalist | Delos Music | Outstanding Classical Recordings for over 40 Years! The winners have been announced and To Play Again has received a Silver Medal Finalist Award. The Story Circle Network has announced the 2018 Finalists for the Sarton Women’s Book Awards. The Story Circle Network is an international nonprofit community of women writers and the Book Awards are given annually to women authors across five categories: Memoir, Biography, Contemporary Fiction, Historical Fiction, & Young Adult Fiction/Nonfiction. Delos is pleased to share that Carol Rosenberger‘s To Play Again: A Memoir of Musical Survival has been named a finalist in the Memoir category! The winners will be announced in April 2019 – so keep your fingers crossed!